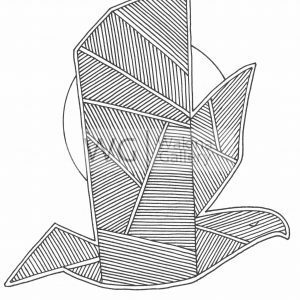 View cart “Spring to Summer by Christopher Chambaud felt-tip on paperboard 8.5″x 11″” has been added to your cart. 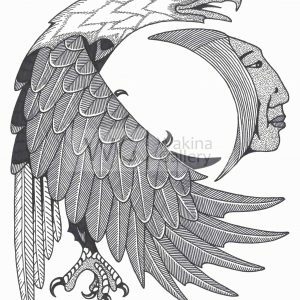 (From the Alberta Native News collection) – Christopher Chambaud is a gifted Dene artist who has been contributing to Alberta Native News with illustrations for over 20 years. 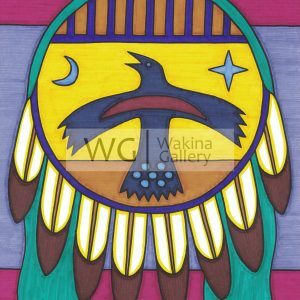 His art features cultural themes and animal forms as well as celestial images. He uses intricate dot and line techniques masterfully in his black and white drawings and vivid colours to enhance the forms in his colour pieces. 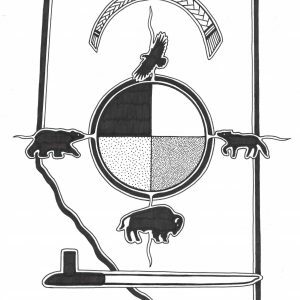 In addition to countless illustrations on the inside pages, the Alberta Native News featured Christopher’s art on the cover in May 2007, in July 2008, in January 2009, in April, 2011, June, 2011 and others. 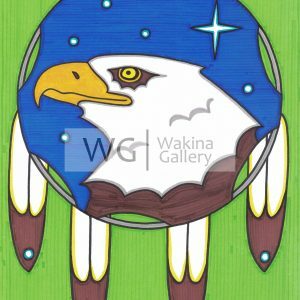 Alberta by Christopher Chambaud (from the Western Native News Collection) felt-tip on paperboard 8.5″x 11″ Unframed. 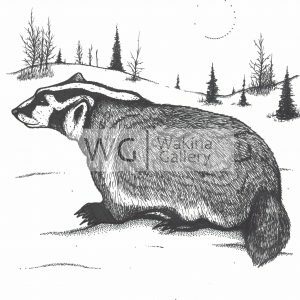 Badger by Christopher Chambaud felt-tip on paperboard 8.5″x 11″ Unframed. 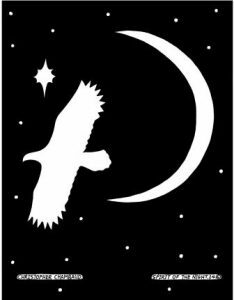 Believe We Can Fly by Christopher Chambaud felt-tip on paperboard 8.5″x 11″ Unframed. 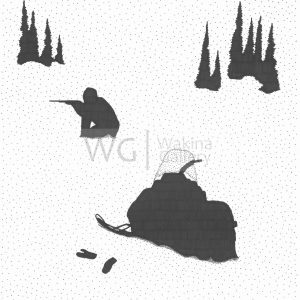 Bright Snow Fall, The Hunt by Christopher Chambaud felt-tip on paperboard 8.5″x 11″ Unframed. Dove by Christopher Chambaud felt-tip on paperboard 8.5″x 11″ Unframed. 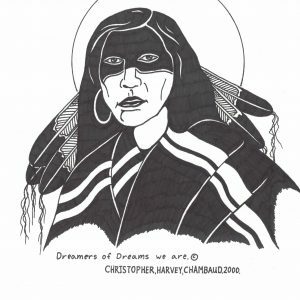 Dreamers of Dreams We Are by Christopher Chambaud (from the Western Native News Collection) felt-tip on paperboard 8.5″x 11″ Unframed. 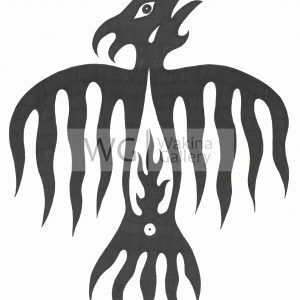 Eagle by Christopher Chambaud felt-tip on paperboard 8.5″x 11″ Unframed. 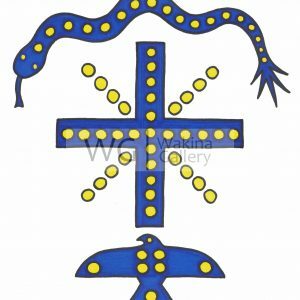 Flying Serpent by Christopher Chambaud felt-tip on paperboard 8.5″x 11″ Unframed. 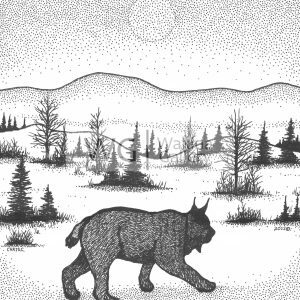 Lynx on the Prowl by Christopher Chambaud felt-tip on paperboard 8.5″x 11″ Unframed. Shield by Christopher Chambaud felt-tip on paperboard 8.5″x 11″ Unframed. 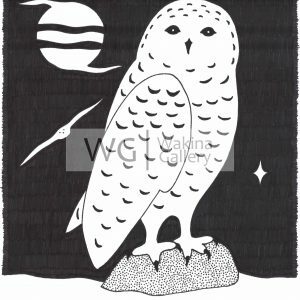 Snowy Night Owl by Christopher Chambaud felt-tip on paperboard 8.5″x 11″ Unframed.